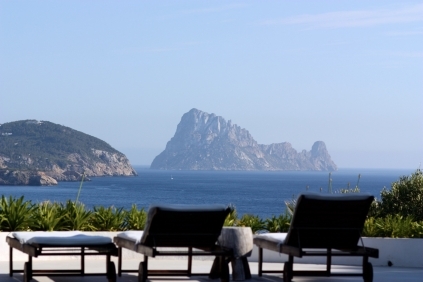 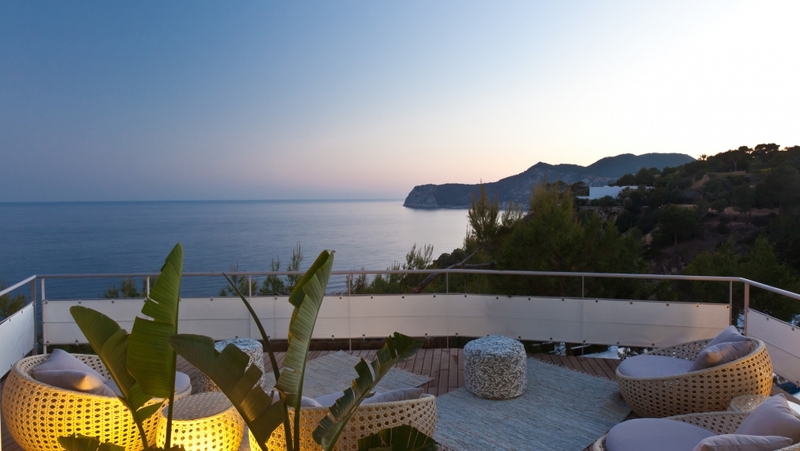 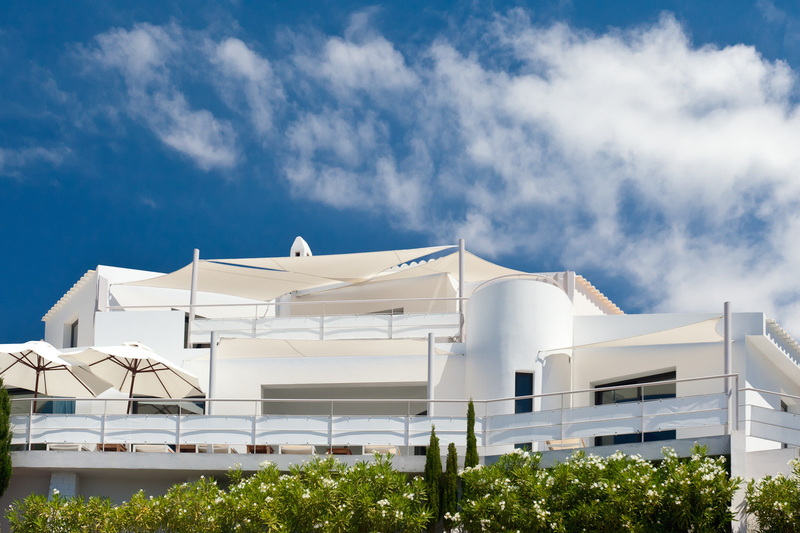 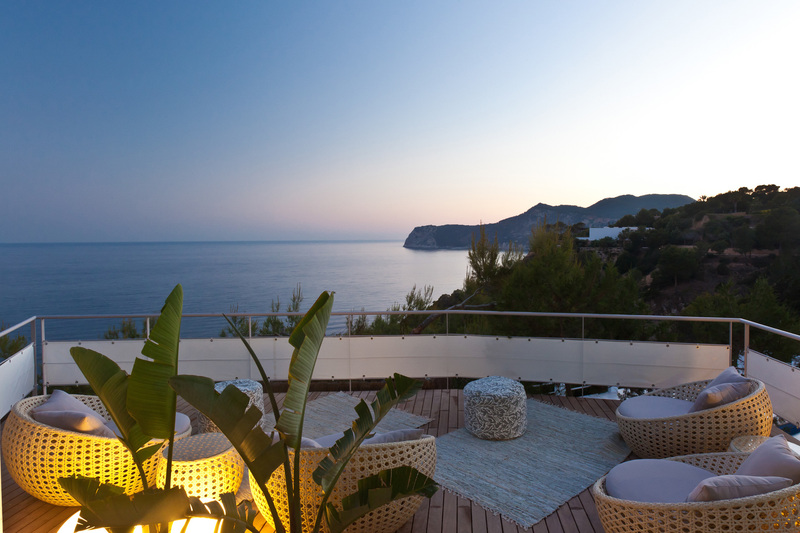 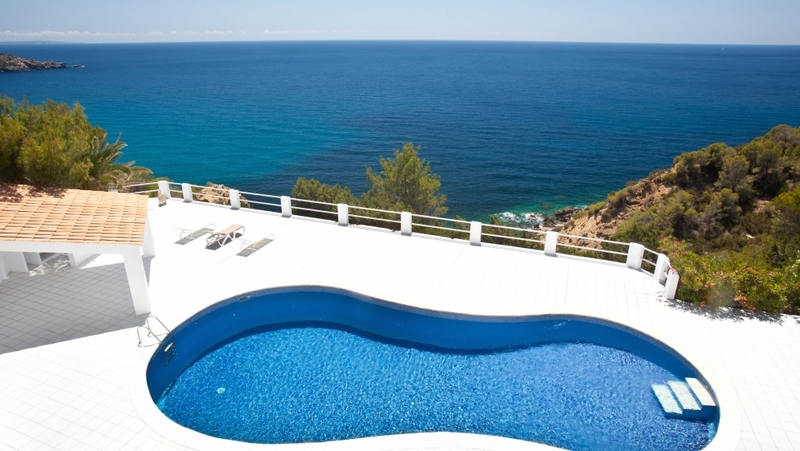 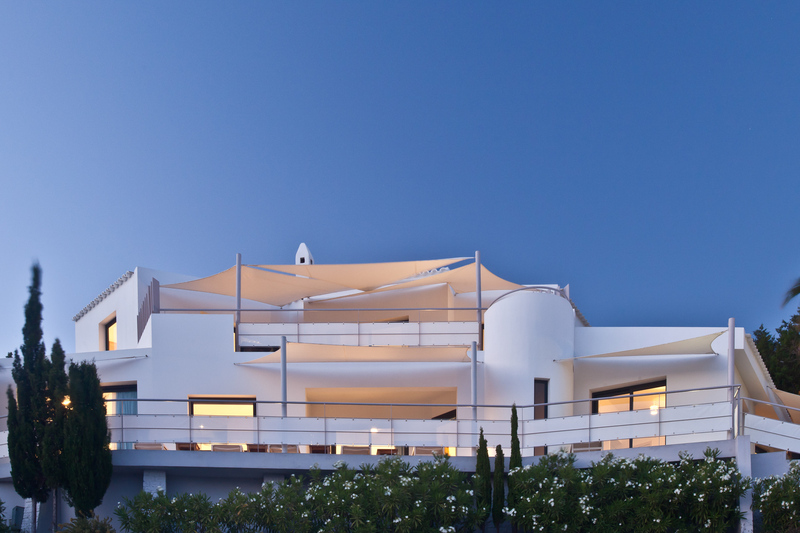 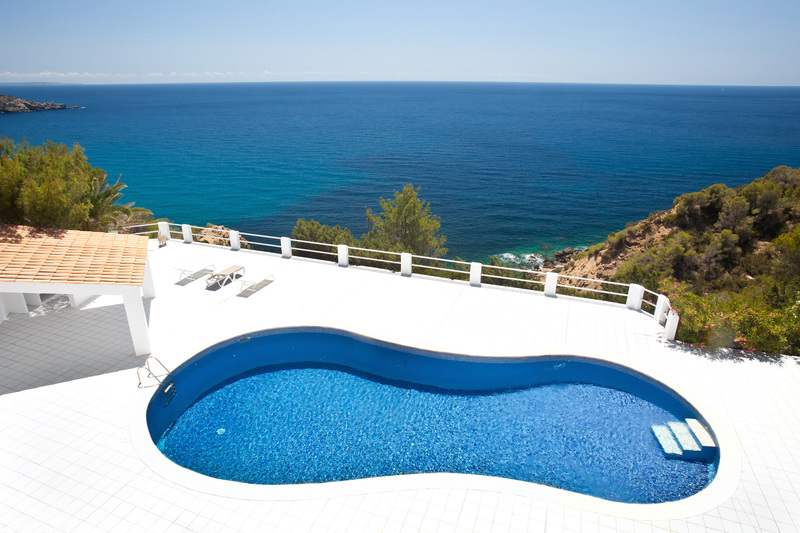 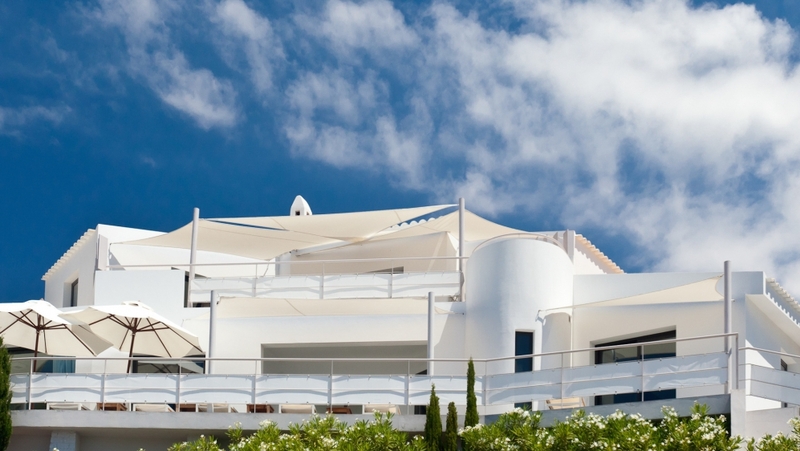 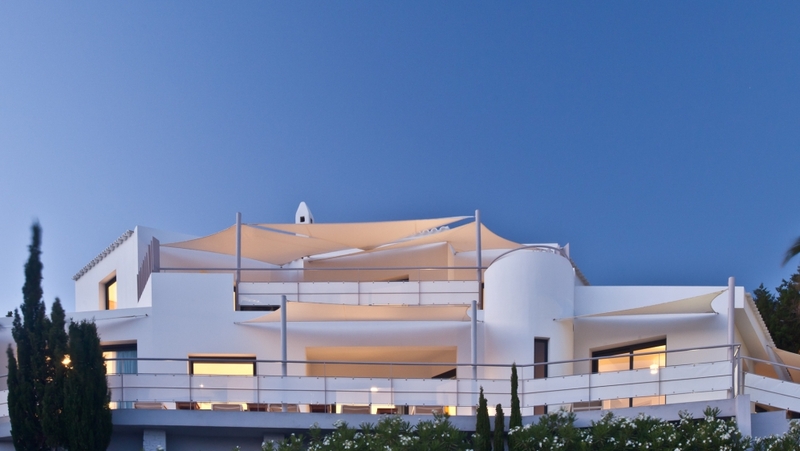 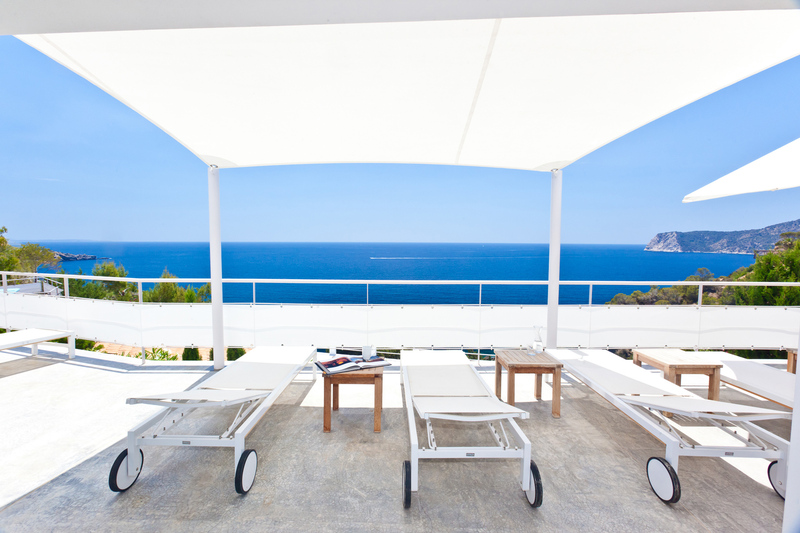 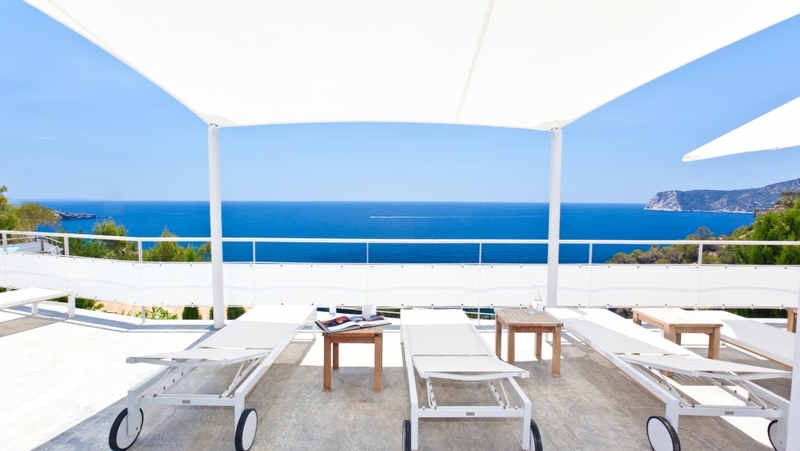 This fantastic Ibiza style villa offers the most spectacular open sea views towards the southern shores of Ibiza. 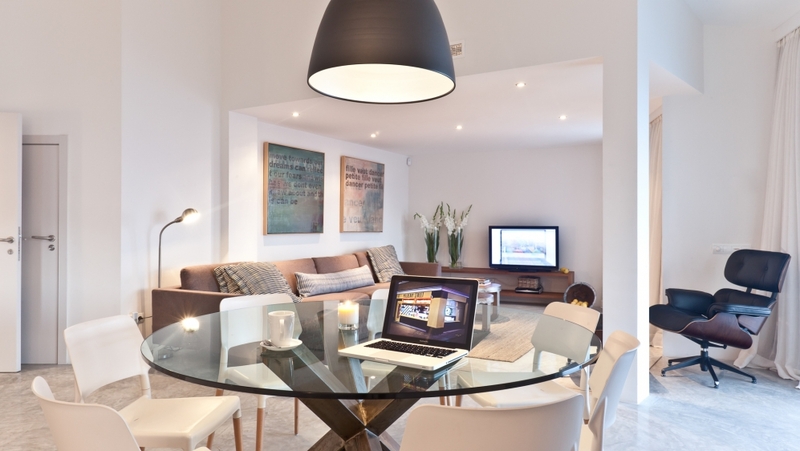 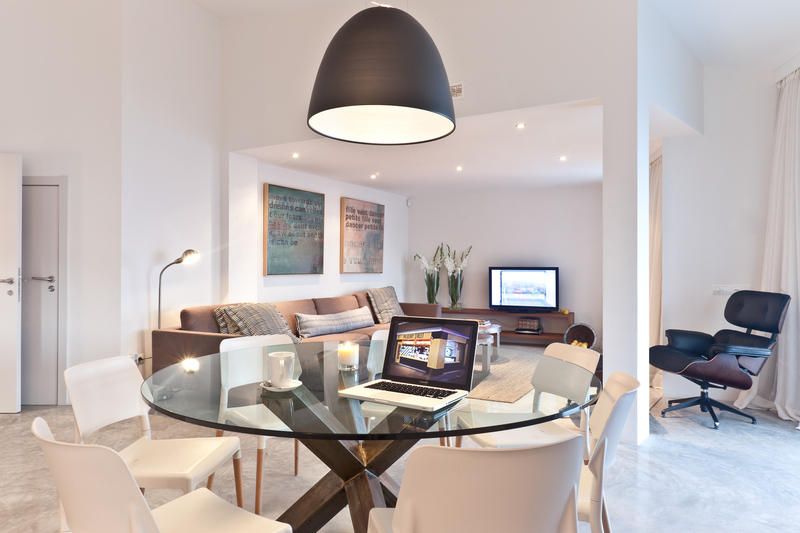 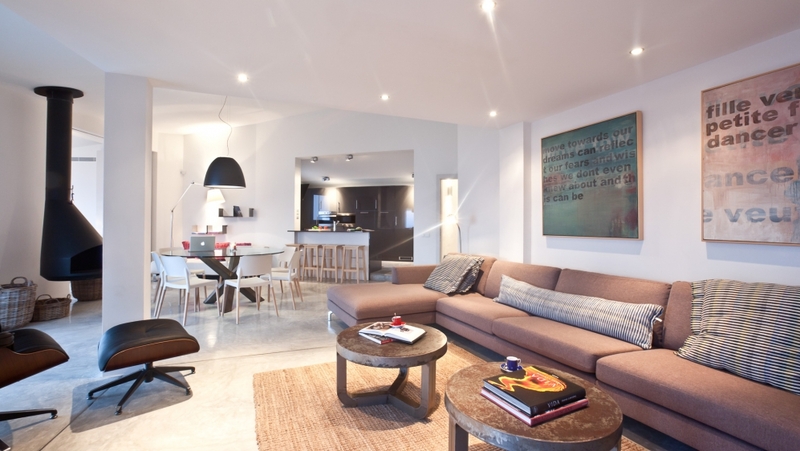 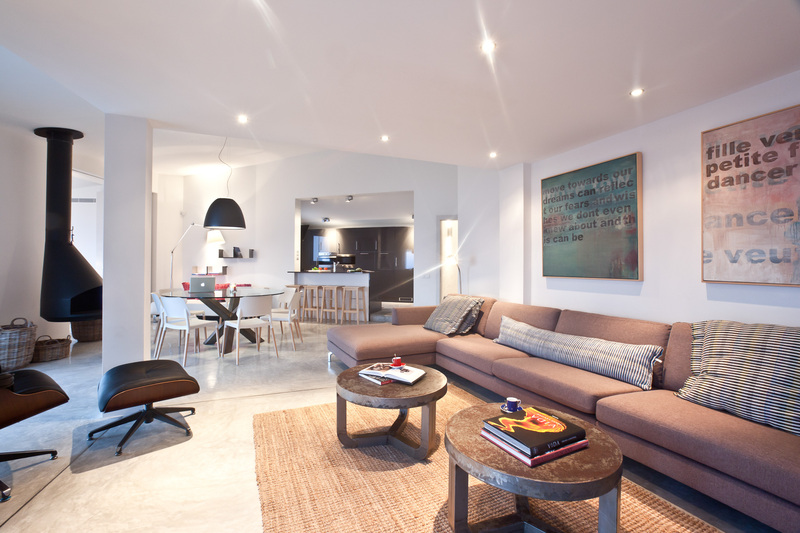 It is located in the exclusive and secure urbanisation of Vista Alegre, just 4 min from Es Cubells. 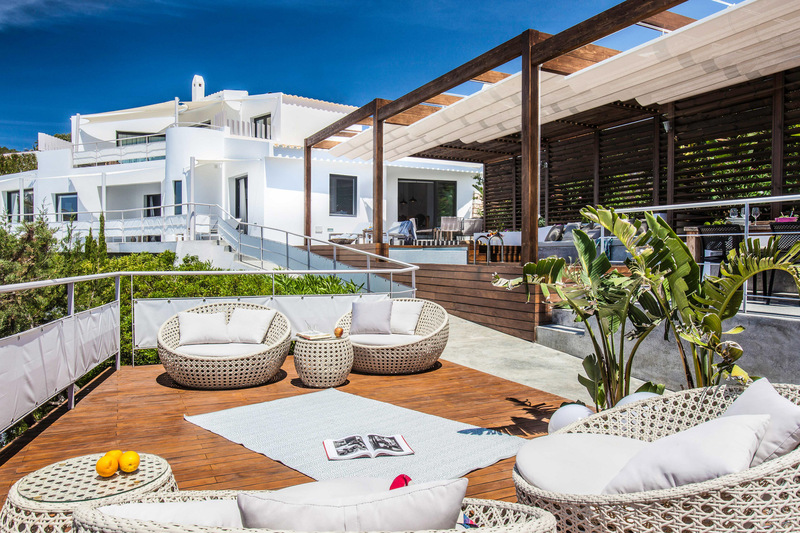 The villa is distributed over two floors and offers: a large living room, 5 bedrooms, 2 dining rooms, a cinema room, 2 kitchens, 6 bathrooms and a utility room. 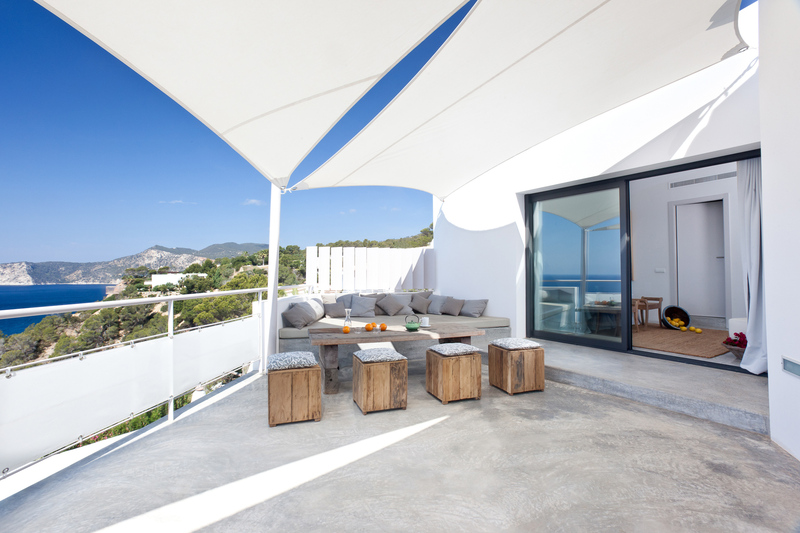 First floor: Open-plan living room with wonderful, front-line sea views, opens out onto a large terrace with 2 chill-out and sunbathing areas. 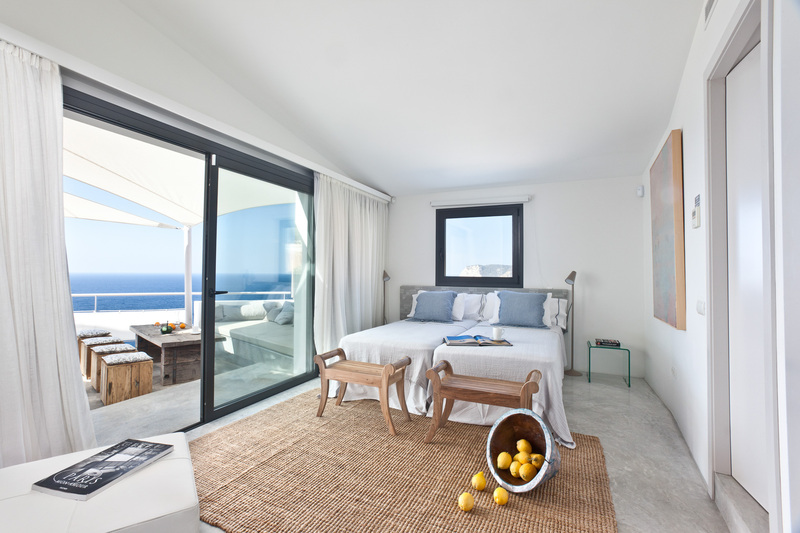 Open-plan kitchen with breakfast bar and 1 double bedroom with en-suite bathroom, shower and toilet, and front-line sea views. 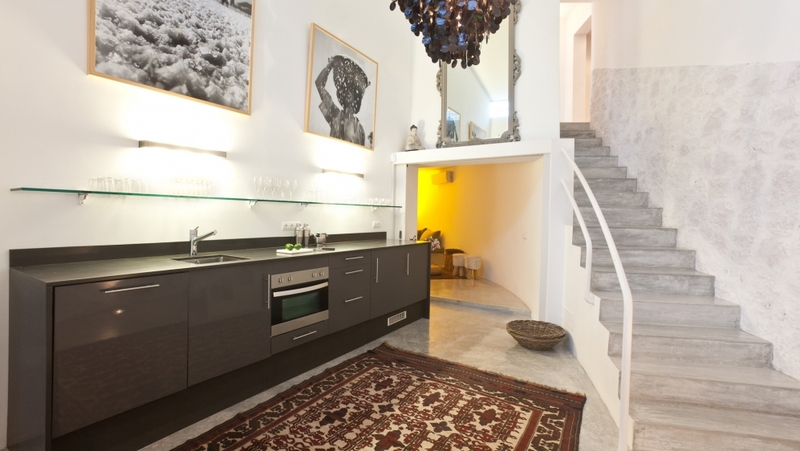 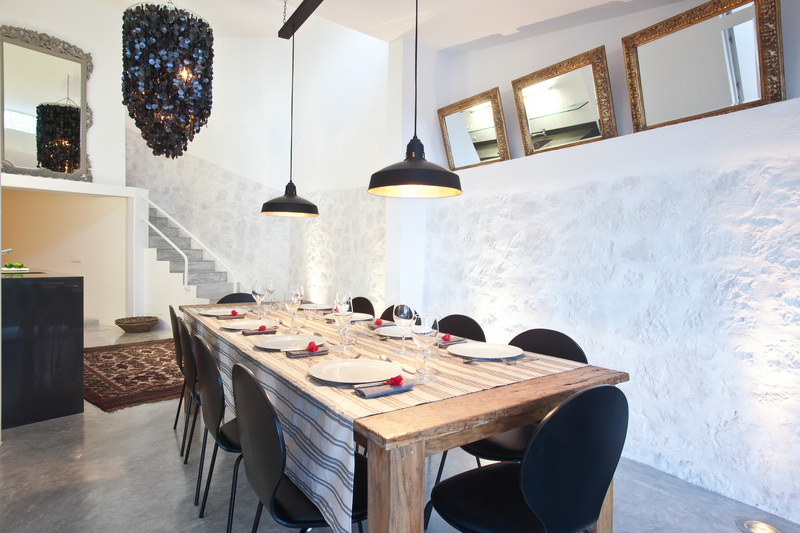 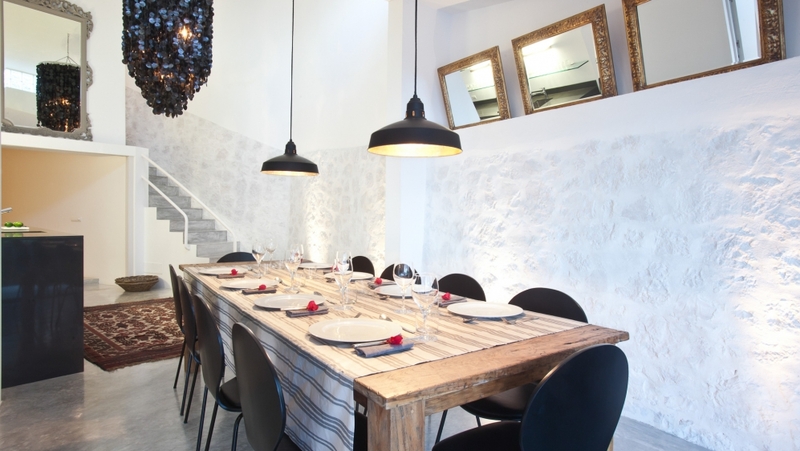 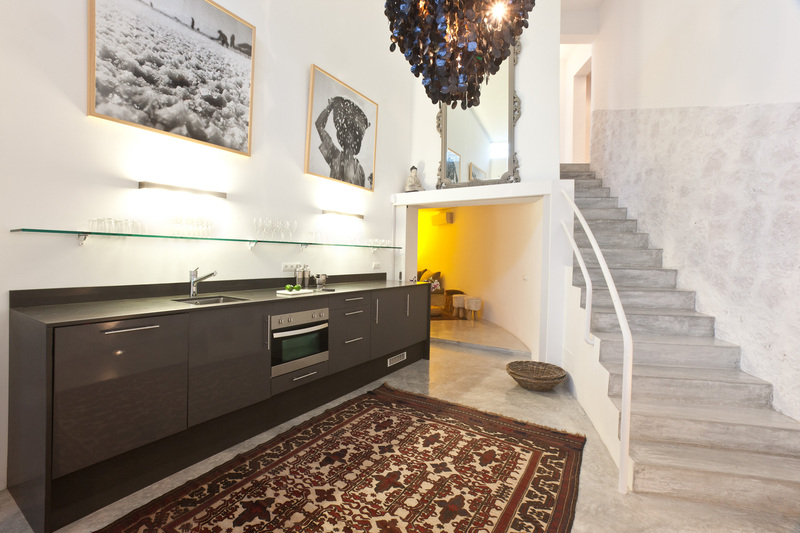 Ground floor: Open-plan kitchen with Indoor dining area. 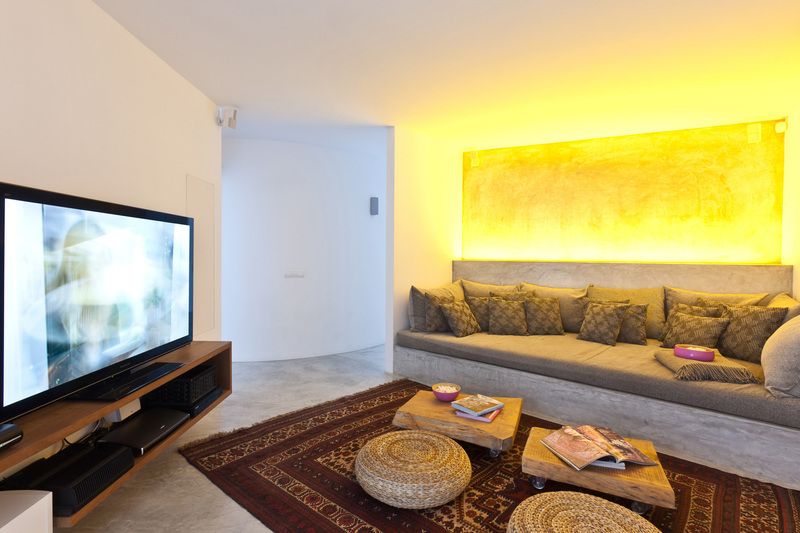 Separate cinema room with surround sound and Sky satellite system. 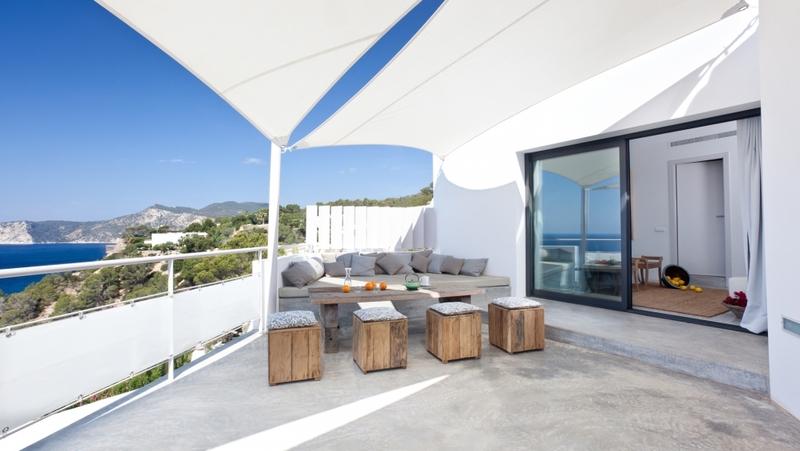 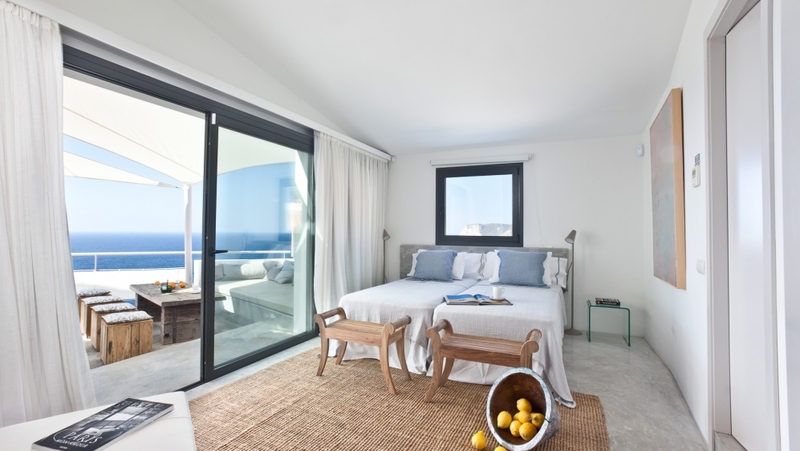 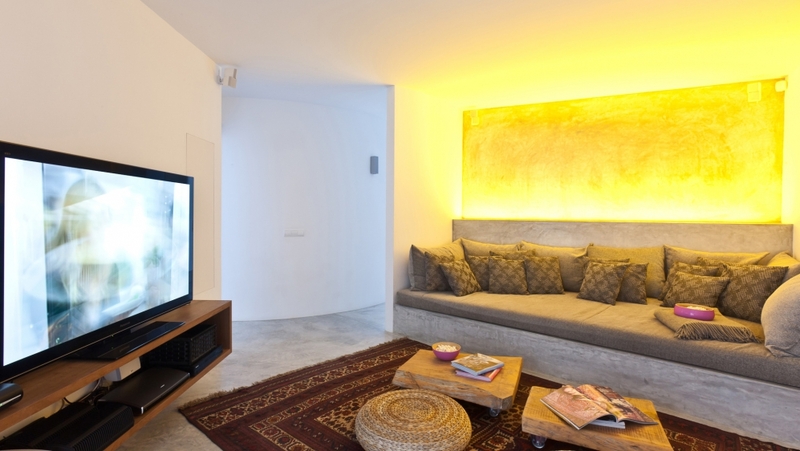 4 double bedrooms with front-line views onto the sea, and private terrace. 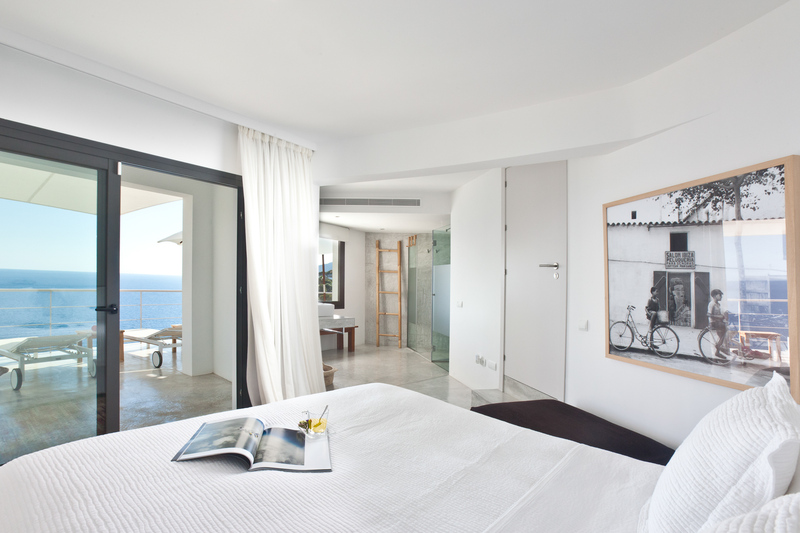 All with en-suite bathrooms, shower and toilet. 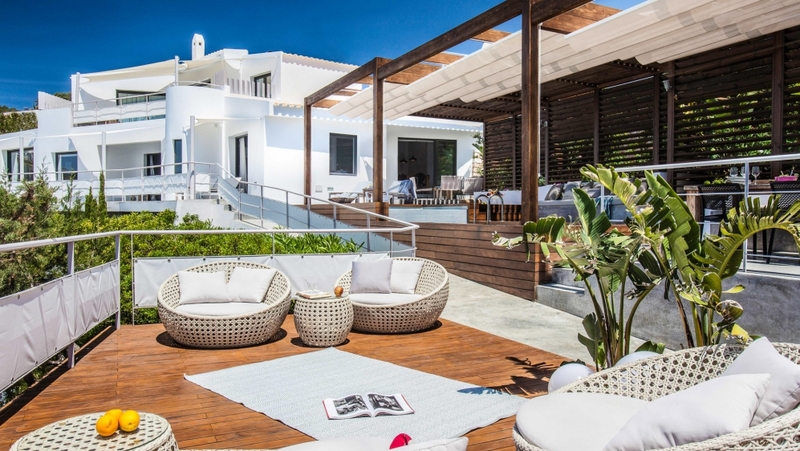 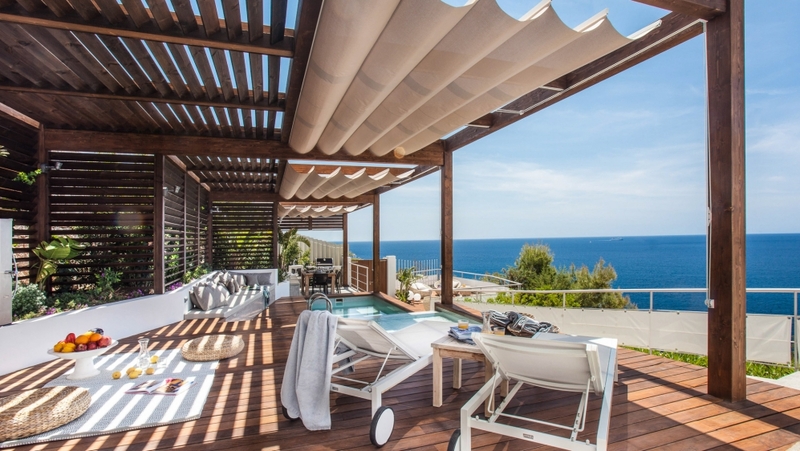 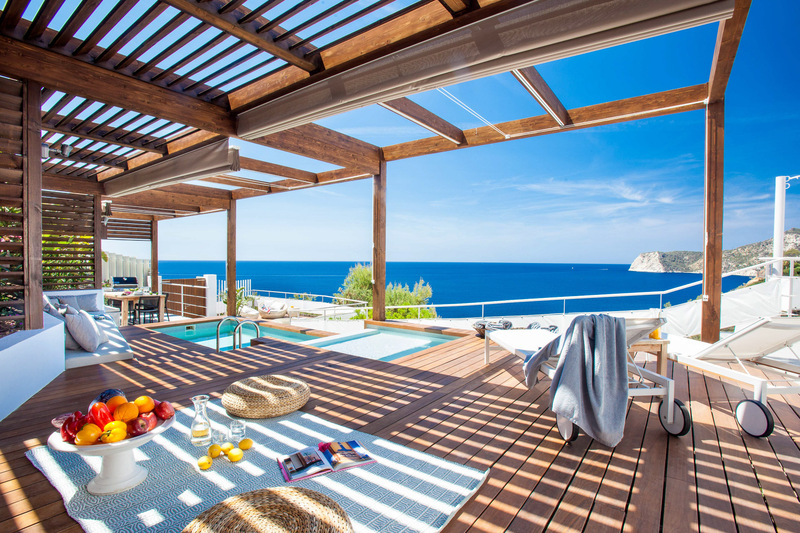 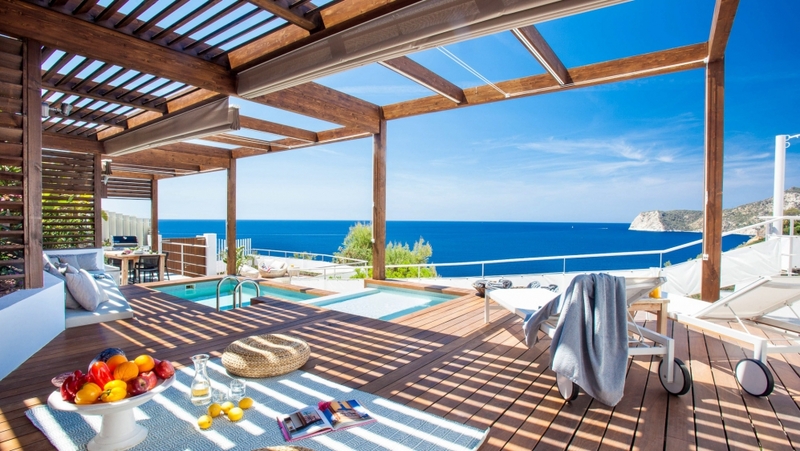 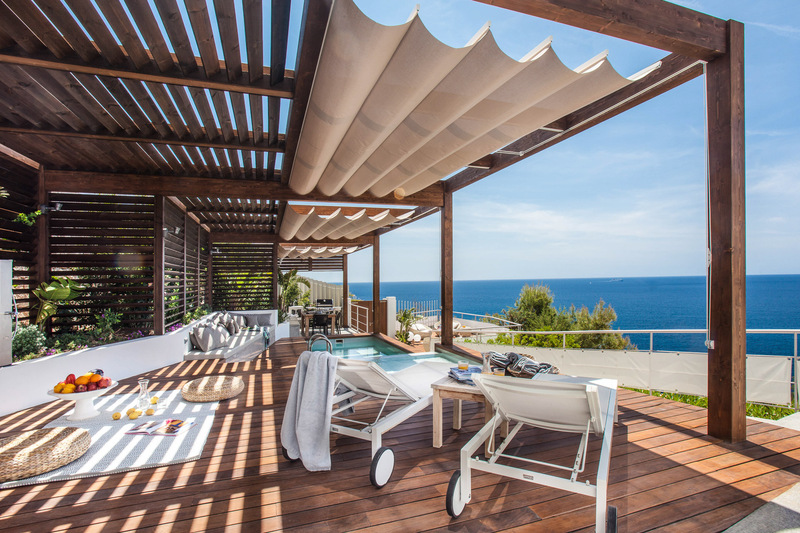 This stunning Ibiza villa boasts many terraces, covered chill-out spaces and wooden decks with jacuzzi from which to enjoy the absolutely stunning open sea view, it also has a private swimming pool, barbecue and an outdoor dining area, ideal for alfresco living. 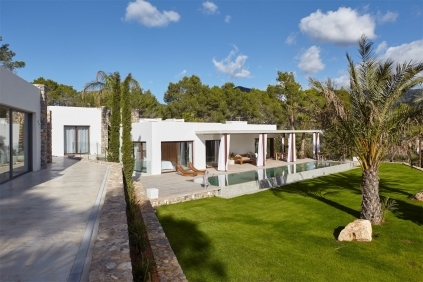 Please note: This fantastic Ibiza villa for sale has a touristic rental license and can generate a very attractive rental income.